Who We Are - New England Backflow Inc.
We are a certified backflow testing and repair company. We specialize in managing cross connection control programs for water utilities, condo associations, hospitals, schools, office buildings and manufacturing, commercial and industrial facilities. We assist in creating rules, and/or ordinances for communities. We specialize in complicated replacements of older backflow devices that do not meet the current requirements for an approved backflow assembly. We work closely with facility owners/managers and water utilities when there are difficulties communicating and meeting each others needs. Our goal is to always provide the best service at a fair price. 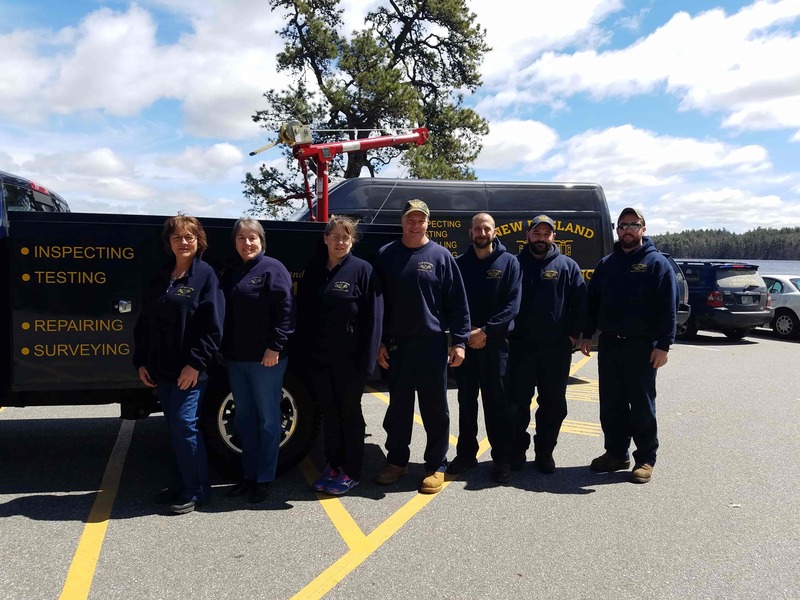 We believe that you will be pleased with the services we offer to keep your water system or plant in compliance with state and local standards. President, New England Backflow, Inc.
Paul Whittemore is a 1991 graduate of the New Hampshire Technical College with an Associate Degree in Natural Resource Management with an option in Water and Wastewater Treatment. He has over 20 years’ experience in the water industry, with an extensive work history including positions as a Water and Sewer Operator for the Town of Derry NH as well as the Water Superintendent for the Town of Pembroke NH. Paul is President of New England Backflow, Inc.
Paul is uniquely qualified in large and small water meter projects as well as being well versed in backflow prevention maintenance, testing, repairing and replacing. Recently obtained Public Water Systems Operator certification in the State of Vermont. Backflow tester, New England Backflow, Inc.
Jason has two years’ hands-on experience testing and repairing backflow devices in Washington State and moved back to New Hampshire to be closer to family. He worked for several years as a grounds technician at the University of Washington at Puget Sound. A Backflow Assembly Tester certification holder from the Washington State Department of Health, he has recently obtained his backflow tester certification from the NEWWA upon returning to New Hampshire. Jason recently obtained Cross Connection Control Surveyor certification in the State of New Hampshire. Office Manager, New England Backflow, Inc.
Eva Rugoletti oversees the day-to-day office operations of the company. She has over 40 years’ experience in the office environment, a specialized certificate in Secretarial Studies, and an Associate Degree in Liberal Arts. Eva previously worked as the Administrative Assistant in the Facilities Management Department at the Elliot Hospital. Scheduling Coordinator, New England Backflow, Inc.
Carole Whittemore manages the company calendar of appointments for each technician. With a clientele of over 700 individuals or companies, she coordinates an efficient process to ensure backflows are tested in a timely manner per town, state and federal requirements. Carole’s previous experience is as the Food Service Director at Auburn Village School. Bookkeeper, New England Backflow, Inc.
Jennifer has over 18 years’ bookkeeping experience. Since 2010, she has been the bookkeeper for New England Backflow, Inc., ensuring accuracy of the company accounts. She also acts as the liaison for Human Resources issues and processes payroll. Jennifer previously owned a convenience store in Nashua. She and her husband own two dogs, Stanley and Winnie. Certified Water Systems Operator, Certified Cross Connection Control Surveyor, and Certified Backflow Tester (in both NH, MA), New England Backflow, Inc.
Michael is in the water industry since 2004. He has worked as a Treatment Operator in Rowley, MA and Rochester, NH and Milton, NH, as well as all the way in Redding, CA. Holds licenses as a Certified Water Operator and Cross Connection Control Surveyor in the State of New Hampshire. He was previously at NEB between 2012 and 2015. Returned to NEB 2018 after exploring other options. In his spare time he enjoys woodworking, and spending time in the outdoors with his children. Office Assistant, New England Backflow, Inc.
Aimee previously worked as an assistant manager at a local restaurant. She has many years of customer service experience. We keep your drinking water safe. Is your water protected?